As you can see, an ideal car radio in a car is not merely to improve the in-car environment but also to take the driving experience up a notch. With an ideal car radio installed in your car, you can enjoy great convenience and have endless fun in your car. 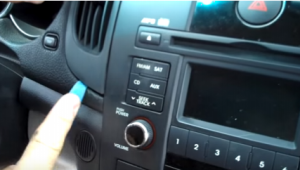 Therefore, more and more car owners would like to upgrade their factory radios. This article is mainly about how to install a 2008 2009 2010 2011 2012 KIA Forte(MT) car radio. 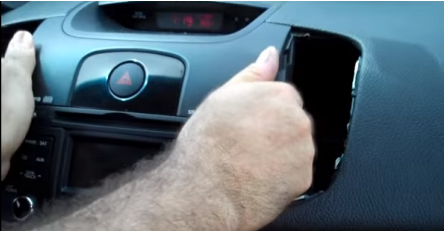 If you have the same or similar dashboard, and plan to upgrade your factory radio by yourself, you can carefully refer to this article to help with the installation. 2. Pry the left air conditioner vent with a lever, and then remove it. 3. 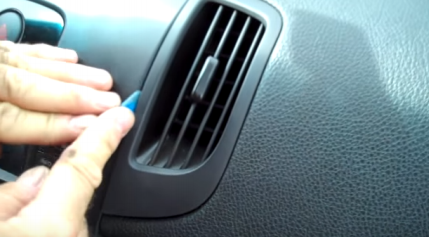 Pry the right air conditioner vent with a lever, and then remove it. 4. 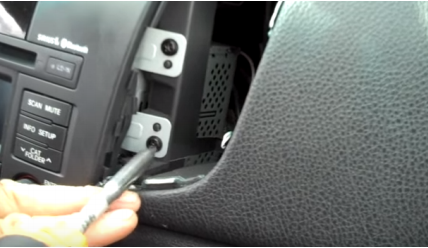 Unscrew four screws under the a/c vent holding the original car radio with a screwdriver. Wish you can get some inspiration from the above installation guide. Don’t worry if you encounter any difficulties but don’t know how to overcome them. Under this circumstance, you can consult your dealer, communicate with someone experienced or turn to a professional for help. Or you can straightly go to a car radio upgrade center to arrange a technician to help you install the new car radio. 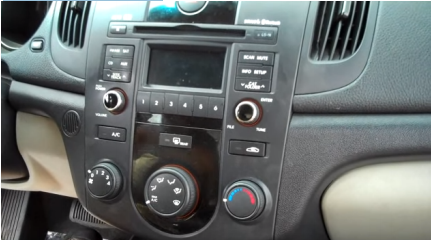 With this car radio installed in your car, you are allowed to get access to a wide range of practical and entertainment features, which mainly include 3D GPS navigation system, FM/AM radio tuner, Bluetooth hands-free calls, Bluetooth streaming music, file management, AUX, steering wheel, etc. When you turn on the high-end 3D GPS navigation system, you can get the accurate navigation information and the best route option to get to your desired destinations through turn-by-turn direction and voice prompts. Besides, with dual zone function, this unit allows you to listen to music that is played behind the scene under GPS mode while navigating. 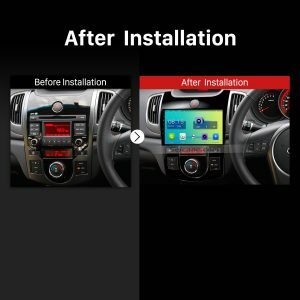 Moreover, through the wireless Bluetooth connection between your Bluetooth-enabled mobile phone and this car radio, both Bluetooth hands-free calls and Bluetooth streaming music are both available for you to offer more convenience and enjoyment for you. If you like this car radio, just add it to your shopping cart. Good luck to you!